“There is no closer friendship than that between Australia and New Zealand,” Malcolm Turnbull and Jacinda Ardern declared after their leadership meeting in Sydney in March. Their language reflected many such statements over the years. And it’s true. Our communities understand each other in a way that is rare in the world. In Lowy Institute polling, New Zealand consistently rates as the country towards which Australians feel warmest. As we moved in the 1940s to establish our own sovereign identities in the world, the Anzac Pact of 1944 was the first treaty either of us signed without Britain. Yet our foreign policies have differed quite markedly at times; over theatres of participation in the Second World War, the US alliance, nuclear weapons, aspects of policy in the South Pacific, and trade policy. Those differences reflect a larger difference of strategic perspective. On our vast but sparsely populated continent, Australians tend to feel economically secure but strategically vulnerable, while New Zealanders, sheltered against the east coast of that landmass but with a more limited base of natural resources, feel strategically secure but economically vulnerable. If you want to understand the different way Australians and New Zealanders think about the world, an excellent place to begin is the recent speeches of two political leaders who come from the same political tradition, generation, and gender: New Zealand’s Labour Prime Minister Jacinda Ardern and the ALP’s Shadow Foreign Minister, Penny Wong. Ardern gave her first comprehensive account of her government’s foreign policy in an address to the national conference of the New Zealand Institute of International Affairs on 27 February. Only a few weeks earlier in Singapore on 24 January, Penny Wong delivered the latest in a series of linked speeches under the broad rubric of Australian foreign policy in a time of disruption. Ardern and Wong find much political common ground, of course – on global uncertainty, the vulnerability of the rules-based order, climate change, and the importance of values. But it is in the divergences that their speeches are so interesting. Where Ardern begins with economics – “trade will always be an essential part of our engagement with other countries” – Wong’s primary emphasis is on the “disrupted world … where synergy between the geostrategic and geo-economic forces can no longer be assumed”. Except for China and the free trade agreement, Asia is not mentioned by Ardern. Yet Asia is seldom absent from Wong’s speeches. ANZUS not only underpins our national security but is also a key contributor to the peace, stability and security of our region. The strand of thought, stronger in New Zealand than Australia, that is uncomfortable with any use of military force is reflected in the intense debate in New Zealand (which did not join Australia in the Iraq War) about its continued participation in the joint training task force in Iraq. It is scarcely an issue in Australia. For Ardern, there is a strong sense of identity with the South Pacific – “we are a member of the Pacific community”. For Wong, the region is important but is considered primarily through a prism of development assistance. The Indo-Pacific, now a bipartisan way of framing Australia’s strategic environment and incorporating the two oceans around our continent, is not mentioned by Ardern. Hers remains an Asia-Pacific world. My point is not that one of these approaches is correct and one is wrong. We are different countries and will always have different interests in the world. 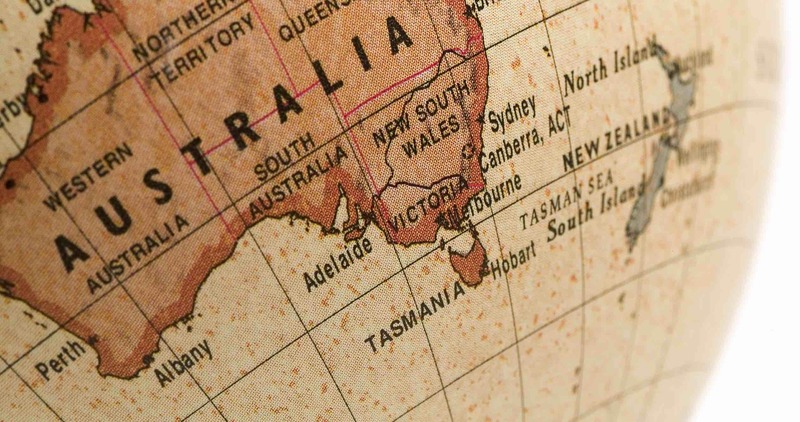 There is a danger, however, that in the current geostrategic flux, our world views will gradually diverge as Australia focuses on a horizontal Indo-Pacific and New Zealand on a vertical Asia-Pacific. Changes in our two societies are reinforcing the differences. Australia is becoming more multicultural: more Australians were born overseas than at any time for 120 years. Asian migration is changing New Zealand, too, but it is less culturally important than the growing sense of New Zealand biculturalism. Speeches like Ardern’s routinely begin with greetings or introductions in te reo Maori. The danger of intimacy is that you begin to take each other for granted. The Anzac legend reinforces that danger. We assume behaviour on the part of the other which, when not met, leads to feelings of disappointment and estrangement. You can see it in the response of New Zealanders to Australia’s deportation of New Zealand citizens with criminal convictions. In a world in which the significant forces of change buffeting the international system are reshaping Australia’s region “in ways without precedent” in its modern history, and our old friends are distracted and preoccupied, Australia and New Zealand will need each other more than ever. But we need to understand our differences, accept them, and decide how to factor them into our national policies. That’s no easy task. How odd it is that universities in both countries host centres for the study of societies ranging from China to Canada but find no space for the serious examination of each other. The ambition of the contemporary bilateral agenda, building on the legacy of the Closer Economic Relations Trade Agreement of 1983, is limited – the easing of barriers for SMEs; the promotion of infrastructure investment. It’s time to undertake a more fundamental review of the trans-Tasman relationship. One objective would be to ensure that we have a narrative that acknowledges both our differences and the value of the relationship to each of us. It would propose a policy agenda, in everything from the structure of domestic regulation to the focus of our global diplomacy, that is fit for purpose in the twenty-first-century world and suggest the political and diplomatic architecture needed to bring it about. If Australia and New Zealand can’t navigate the uncertain new environment successfully, who can?